Reminders help you make sure to always follow up! 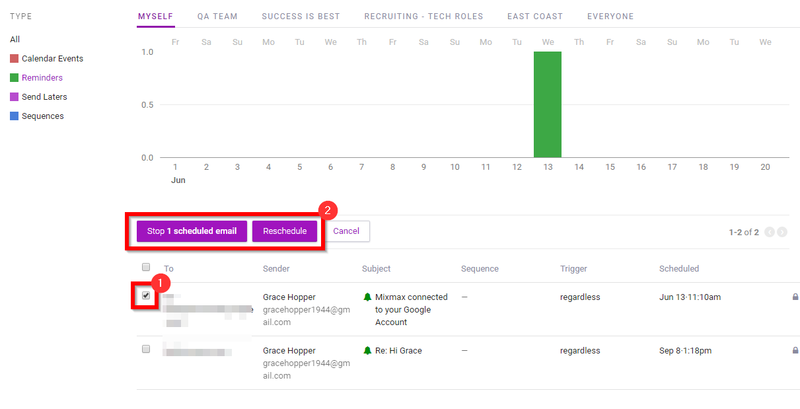 If you plan to follow up with a specific email, you can save even MORE time by adding your recipient to a sequence. Here's how: Add a recipient to a sequence from the compose window. And choose the criteria for whether or not you'll receive a reminder: if your recipient doesn't reply, doesn't read the email, or regardless of whether they open or reply. 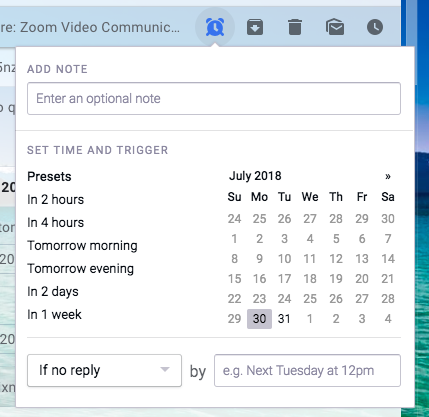 Customize the preset times you see in your Reminder and Send Later menus. 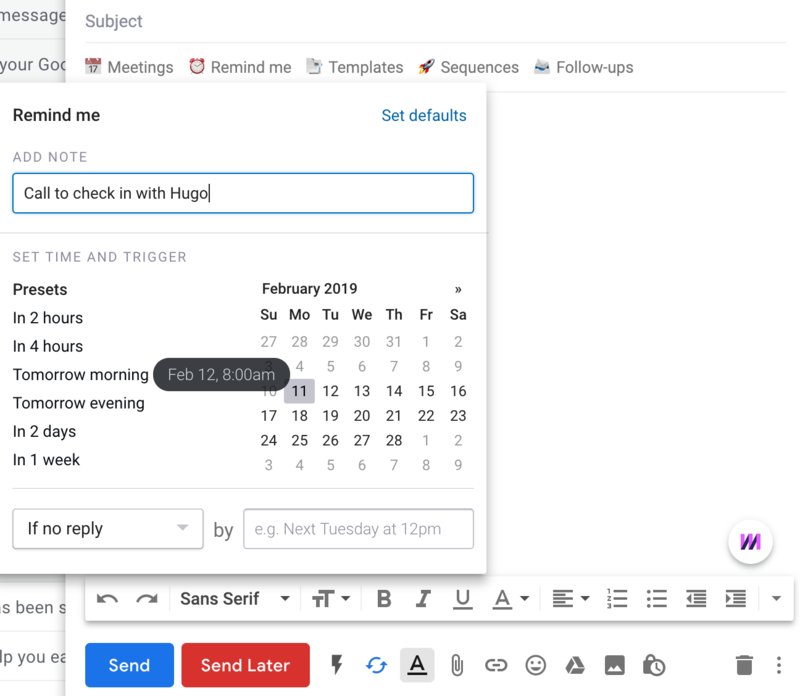 Adjust in your Reminders & Send Later settings, or click Customize in the top right corner of the Reminder menu..
Will apply the “Important” marker to reminded messages in your Gmail inbox. Turn on/off the setting to automatically set a reminder for every message you write that meets the specified settings. This keyboard shortcut pulls up the reminders window. You can type 2d to set the reminder in 2 days, and then hit Return/Enter to add the reminder. You never have to leave your keyboard! You can find all pending reminders in the Mixmax Reminders folder in Gmail. To remove a reminder, click to open the reminder tagged email and you will see the yellow Reminder bar at the top of the screen. Click the trash icon to remove the reminder.